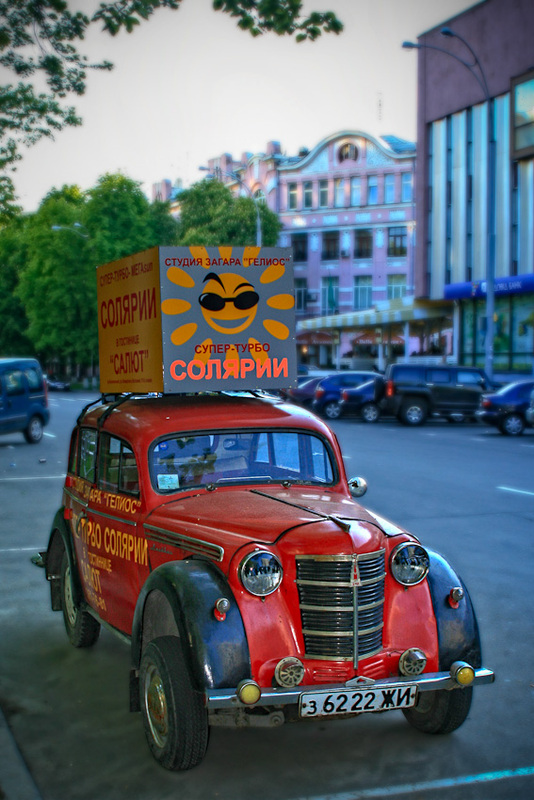 Old Soviet Era automobile finds new use as a rolling billboard. Lenin would so not approve. Especially for a tanning salon!